Another great day today! 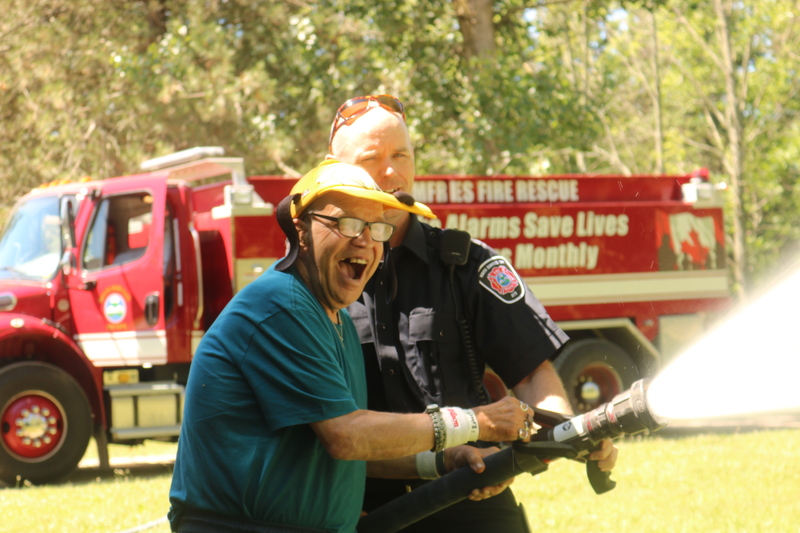 We had our annual firetruck come and real firemen taught everyone about fire safety and let guests take turns to have some fun spraying the hose. 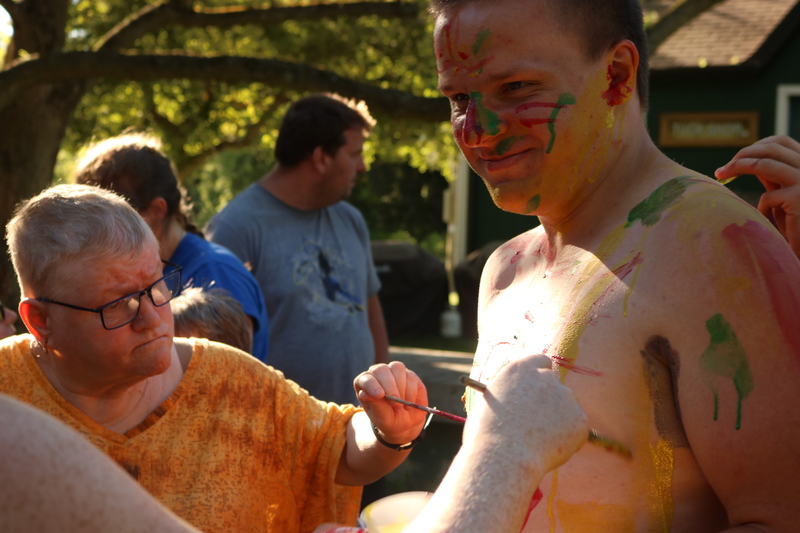 After Bible study, tuck time, and pool time we did the Staff Paint which is always a blast. Finally, we had the Talent show where we had some great musical performances and enjoyed the beautiful weather out by the gazebo. Be sure to check our Facebook page for lots of photos every day and to email your camper.